Products, often also known as Batches, are items that you keep in stock that you don’t buy in from a supplier. For example, if tomatoes and basil are Ingredients you purchase from a supplier, then the Tomato Sauce you make out of them would be a Product. 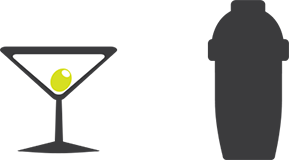 To view the Products you already have set up, go to Operations > Manage Products in KOBAS Cloud’s main menu. In this screen you will see a list of all the Products you have already set up and you can Edit each as required. This screen allows you to specify the name of your Product; what category of Product it is (eg. Sauces); whether it is measured in grams, millilitres or whole items and what quantity of the final Product the recipe produces. 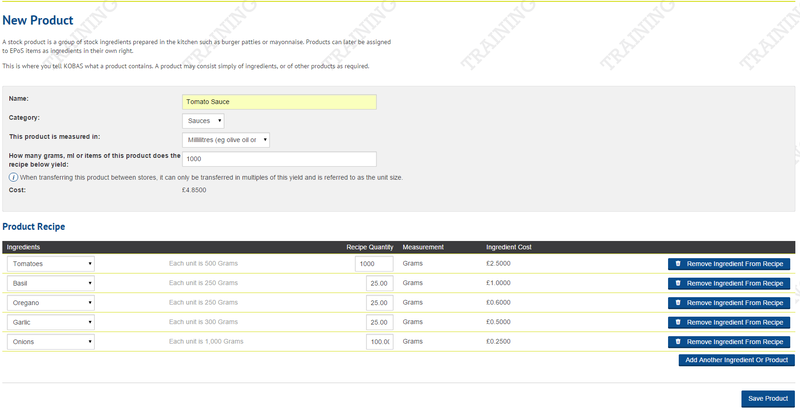 Under the Product Recipe heading you can select what Ingredients are used and in what quantity to create the Product. As you enter in the quantity of each Ingredient used in the recipe KOBAS will calculate the cost of each Ingredient used and the overall cost of the Product. Once you have completed this page click Save Product. Your product will now appear in your product list when you go to Operations > Manage Product.